A surgical dressing that becomes electrically active on contact with bodily fluids could help to can prevent infections and combat antibiotic resistance. This is the view of researchers at The Ohio State University Wexner Medical Center who have shown for the first time that weak electric fields can also help to heal infected burn wounds. Their results are published in Annals of Surgery. Bacterial biofilms represent a major wound complication as they can resist drug treatments. Bacteria rely on electrostatic interactions to adhere to surfaces, an important aspect of biofilm formation. The concept that weak electric fields may have anti-biofilm property was first reported in 1992. The current study is said to build on Sen’s 2014 research with a wireless electroceutical dressing (WED) using silver and zinc printed on fabric. When moistened, WED generates a weak electric field without any external power supply and can be used like a disposable dressing. 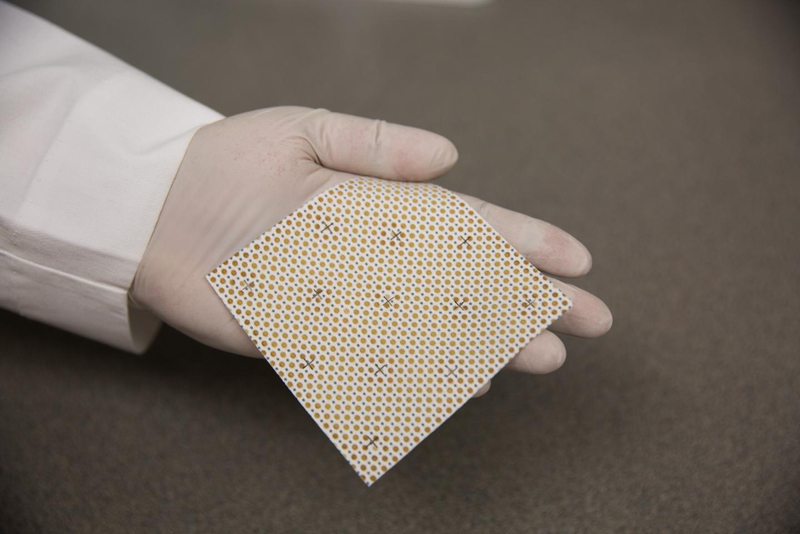 Ohio State researchers are teaming up with burn care team within the US Department of Defense to start a clinical trial within the next month to test this technology on burn wounds in humans, Sen said. Ever since my biology teacher (Heavens that is 60 years ago!) told us that the passage of signals between the synapse at the ends of nerve fibres created ‘measurable electrical phenomena’ I have believed that as well as the flow of fluids -liquids and gaseous- within and around the body there has to be the passage of electrical impulses. Just as the platelets in blood are a vital aspect of healing of open wounds (scab forming for example) I can quite see that measurable electrical phenomena have a part to play as well. Another word I recall is thrombochinase (spelin was nvere mi string sot) -anyone amongst Engineers know what it does? .”Wounds were treated with placebo dressing or WED twice a week for 56 days. Both proved successful” – so both the placebo and the WED healed the wound? Hi Jullan, I think they refer to the ability to prevent biofilm formation as well as the ability to disrupt established biofilm but the wording is indeed misleading.